Drake released his mixtape “So Far Gone” to streaming services in celebration of the 10th anniversary of the project Feb. 15. The mixtape served as the world’s introduction to the actor turned rapper, kicking off what would lead to an incredible career for the Canadian artist. The original release not only impacted Drake’s career but also lead to a shift in the style of mixtapes within the rap genre. Drake displayed the versatility of his artistry on the project as he remixed, sampled and flipped songs from a variety of genres. While it certainly utilized other artists’ production, “So Far Gone” also served as an introduction to the sound listeners have grown accustomed to from Drake over the years. During the creation of “So Far Gone,” Drake first met longtime collaborator Noah “40” Shebib, who served as an executive producer on the mixtape. 40 produced a number of songs on the project helping to establish the slow and moody tone Drake has embraced throughout his career. The mixtape embraced the traditional mixtape style as Drake raps over existing instrumentals and implemented samples throughout. The song “Ignant S—” borrows the instrumental from Jay Z’s track “Ignorant S—,” originally produced by Just Blaze, who creatively curated the track utilizing an Isley Brothers sample. A stand-out track comes with “November 18th,” which uses a beat from DJ Screw, an influential Houston-based artist. The song features Drake rapping about his love for Houston and a lavish lifestyle over the classic chopped-and-screwed production style. The title of the track represents the date Drake received a call from Lil Wayne who wanted to fly him out to Houston, which eventually led to him signing to the Young Money Entertainment label founded by Wayne. Drake and 40 have been open about the fact that they have drawn inspiration from Kanye West. This is evident in the track “Say What’s Real” where Drake raps over West’s minimalistic instrumental for his song “Say You Will.” The future of the track appeared to be in jeopardy at the end of 2018 when Drake and West were in a feud. West had taken to Twitter to share the fact that there was a request to clear the sample for the track in anticipation of the reissue. He had publicly denied the request but when “So Far Gone” came to streaming services it appeared the track was still intact. The Kanye West inspiration continues with Drake’s ability to appeal to pop audiences. He displays this on the mixtape with his creative remixes of tracks “Little Bit” and “Let’s Call It Off” from artists Lykke Li and Peter Bjorn and John, respectively. The songs both feature elements of the original tracks with Drake’s own spin. He creatively uses the original content to evoke a personal connection and adds new meaning with his own lyrics. The mixtape also draws from a variety of genres of music when integrating samples into the production. The track “Unstoppable” features a sample of the Diplo produced song of the same title from the artist Santigold. Additionally, the song “Uptown” boasts a Billy Joel sample from his hit song “Uptown Girl,” presumably explaining the song’s title. Another stand-out sample comes with the bonus track “Congratulations” which creatively spins Coldplay’s “Viva La Vida” into the production. 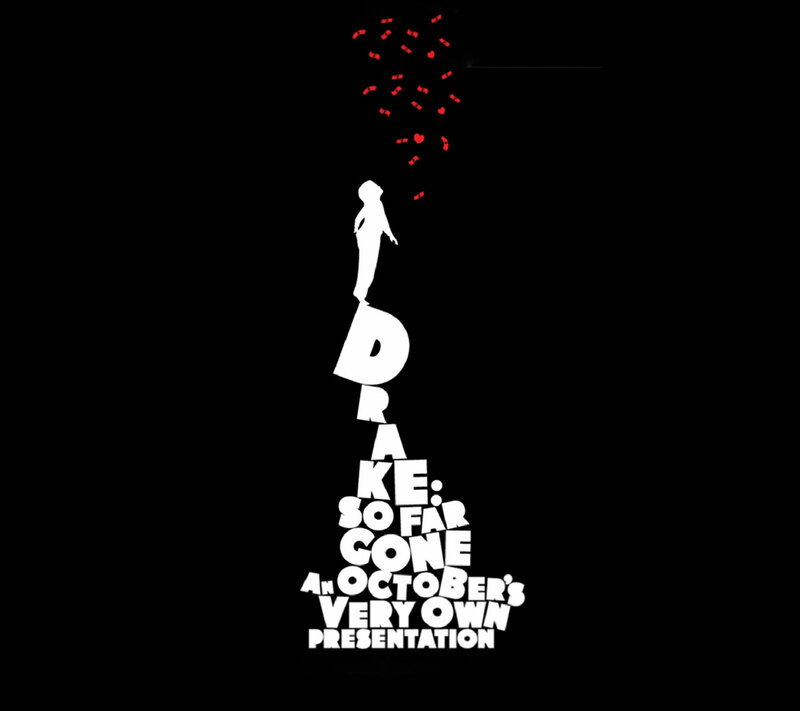 The impact of “So Far Gone” was partly attributed to the commercial success of the singles that supported the release. The songs “Successful” and “Best I Ever Had” were released and both found success on the charts with “Best I Ever Had” peaking at number two on the Billboard Hot 100, which has since been certified quadruple platinum. Drake was launched into worldwide recognition with the release of “So Far Gone,” ultimately allowing him to become one of biggest artists to this date. The mixtape displays the versatility of his artistry while boasting some of his most honest work. Regardless of your feelings towards Drake, the impact he has had on music is undeniable as he dominates in the industry with no signs of slowing down.